The maintenance of a good corporate reputation in today's febrile multimedia age is no easy task - not least because the needs of a company's various stakeholders are all too often contradictory. Investors may seek cost efficiencies which boost earnings and dividends whilst employees seek job security. The need to boost the resource base, especially for oil and gas companies, will often conflict with the needs of local communities and environmentalists. And in some industries, like tobacco, the very nature of the business activity itself can be hard to defend and virtually incapable of being painted in a positive light. So does that mean that there are no firm guidelines that can be established to help companies manage their reputation - is it all too difficult? This article will argue that the reverse is the case - so long as companies understand that brand management and reputation management are the same thing - and so long as they have an imperative to integrate what they say with what they do - and then tell the truth. And as long as they have the confidence not to have their reputation management decisions taken by lawyers! Let's start with the key premise that there is really no difference between a company's corporate brand and its reputation. This is not semantics - the need to understand this principle is an essential condition before we can go on to put a reputation management plan together. But first lets clarify what we mean by corporate identity or brand. In a company like Unilever the corporate brand is the company name and it is the multitude of product brands that comprise the consumer offer. Lipton and Lux and Persil stand alone as distinctive brands and although there is some measure of endorsement from the Unilever parent brand this is not crucial to the product brands' success. When Unilever experienced some problems with the reformulation of their Persil brand back in the 1990s it did little harm to their corporate brand or to their business performance. It was a costly error - but it was confined to one product line - albeit an important one. Contrast this with the now largely forgotten furore over Formula Shell back in the 1980s. Formula Shell was launched as being the "first new petrol for fifteen years" and the advertising made extravagant performance claims. However within months of the launch it emerged that in certain vehicles and in certain circumstances the additives in Formula Shell could actually damage a car's engine. In this case there was no possibility of distancing the brand of the corporation from the product brand - they were the same. The revelation that Shell, a company previously believed to be highly technologically advanced, could make such an error damaged Shell's reputation - and not just in respect of product formulations. In the petroleum sector most companies, and all the multinationals, manage what Wally Olins calls a "Monolithic" brand structure - essentially their corporate identity runs as an identifier through the whole of their vertically integrated business from wellhead to the petrol station. There are some exceptions to this (BP has kept the brand integrity of its Castrol lubricants subsidiary for example) but in the main the monolithic structure prevails. The implications for the company in respect of brand and reputation management are both positive and negative - and need to be understood. On the plus side is the endorsement that the corporate name can give to new products and new ventures. 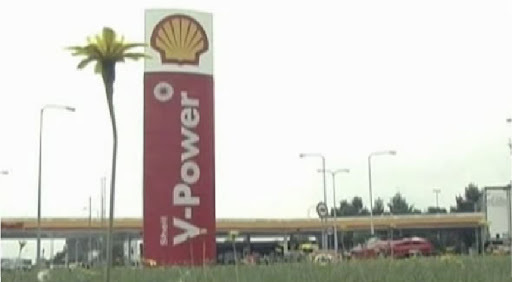 Shell's latest differentiated petrol product Shell V-Power is very definitely a Shell endorsed sub-brand for example - just as Formula Shell once was. On the other hand Shell's overtly corporately branded and largely unsuccessful moves into some renewable energy areas such as "Shell Forestry" and "Shell Solar" were ill advised - at least with hindsight. There was never a satisfactory corporate fit for Shell to be in these businesses and the internal will to make them work never existed. These failures damaged Shell's overall reputation and credibility - something that might not have happened had a less Shell-branded option been pursued. The other real risk for monolithically branded corporations is of course the collateral damage that can be done when one part of the business fails or under-performs - or is perceived to have done so. In Ireland Shell's difficulties with its large Exploration and Production project Corrib in County Mayo led to protests from the local community and from environmental activists - including on the wholly separately managed and unconnected Shell-branded petrol station business. This brings us to BP's brand challenge in the light of the Deepwater Horizon rig disaster. The Deepwater Horizon tragedy, in which a dozen workers lost their lives and which is causing major environmental damage, will no doubt become a reputation management case study in years to come. If ever there was a case of the need to manage perceptions this is one. The facts of the case will no doubt eventually emerge after the investigative enquiries are completed. But few would disagree that the public perception is one of corporate failure both in respect of the fact that the accident happened at all and in respect of the unedifying initial blame shifting between the various parties involved: BP - the commissioner of the rig, Transocean, its owner and operator and Halliburton who provided, on a sub-contracting basis, some of the rig-based services. It is also necessary in this case, as in so many others, to point the finger at the legal elephant traps that lie in the way of open and truthful disclosure. If BP had acknowledged right from the start what most observers, including the US President, believed - that they, BP, were ultimately responsible for the disaster and its consequences - then the legal penalties could have been punitive. They may still be of course but there is little doubt that as in so many of such cases in modern times the dead hand of the lawyers can be seen to have played a disproportionately strong part. To BP’s credit, current communications at the time of writing this article regarding Deepwater Horizon seem straightforward and truthful. After Shell's scandalous failure to disclose the truth about their hydrocarbon reserves back in 2004 there is no doubt that virtually no moves are made, and certainly no significant public statements are issued, by the company without the lawyers being central to the process. If you look at Shell's most recent Annual Reports, for example, you will see a document full to the brim with obfuscating legalese - the contrast with the far more open and self-confident Reports of ten or fifteen years ago is marked. So for a monolithic brand like Shell or BP there is no escaping the fact that problems in one part of the business can damage brand approval in other substantially unconnected parts of the company. Look, for example, at this report from the Daily Mail last year when BP's profits fell. The illustration is of a customer in a petrol station - but in truth BP's retail business had virtually no impact on the profit fall. The problem is that Roadside Retail, for the oil companies with downstream businesses like Shell or BP, is the most visible manifestation of their monolithic corporate brand. And the media will always illustrate stories about almost anything to do with the company with images from a branded petrol station. In Roadside Retail it is not just the monolithic oil majors who operate in a brand environment in which their Corporate Identity is synonymous with their retailing brand. The same applies to the ever more important hypermarket and supermarket operators - but in these cases the coalescence of brand and reputation is nearly always a benefit. 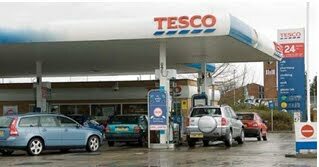 Although on the face of it for Tesco to run a network of petrol stations, previously the preserve of the oil companies, may have initially seemed curious in fact there was an inescapable and consumer-driven logic to the move. The Tesco corporate brand conferred a high degree of respectability - their reputation as a professional company was high. And their retail brand (synonymous, of course, with the corporate brand) was almost unchallenged in their sector. So for Tesco to offer fuels and lubricants on forecourts was credible not because they were an oil company but because they were a multiproduct retailer. Of course they had to understand the special mechanics of running petrol stations - but that was not a problem. And the corporate brand conferred reasons to believe and reasons to prefer from the start. One of the reasons that reputation management has proved difficult for so many huge corporations is that it is all too often seen as being the same thing as lobbying and PR - especially in the United States. PR is often perceived as being at best just providing a positive gloss on reality, whilst ignoring harder truths, whilst at worst it can be characterised as systematic lying. I would argue that in the same way consumers see through false brand promises stakeholders soon see through mendacious PR and misguided attempts to built reputations through selective and slanted corporate advertising. To build a positive reputation companies must above all do the right things in thbre right way. Where health and safety is concerned there is no alternative but always to go the extra mile and if a project becomes marginal as a result they must have the courage to walk away. If good behaviour on HSE (etc.) is inculcated into corporate behaviour throughout the company then risks will be reduced substantially. And if the operational risks are reduced then potential damage to corporate reputation is reduced as well. Finally it is essential that reputation management plans, especially when it comes to corporate communications and other stakeholder engagement, tell the truth. The challenge is not to present the company in a positive light and to ignore the negatives. It is to present the company in a positive light because there is a positive story to tell - that it's not just PR hype but that you really can say that everywhere it operates the company "walks the talk".